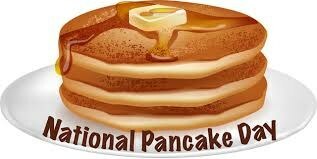 Celebrate Pancake Day at the Elgin Public Library! at the Elgin Public Library! Refreshments served February 13th at 4:30 pm.